Paris, Pittsburgh, And More: Don't Breathe! 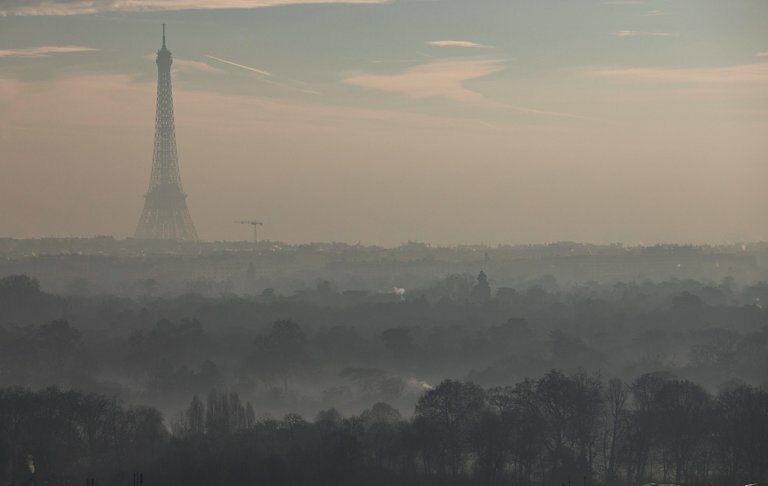 The air has been so polluted this past week in Paris—a 10-year high—that officials restricted car travel, an extreme measure to reduce the toll on human health. Doctors are seeing more children with asthma and bronchial infections. Citizens were warned against exercising outdoors. 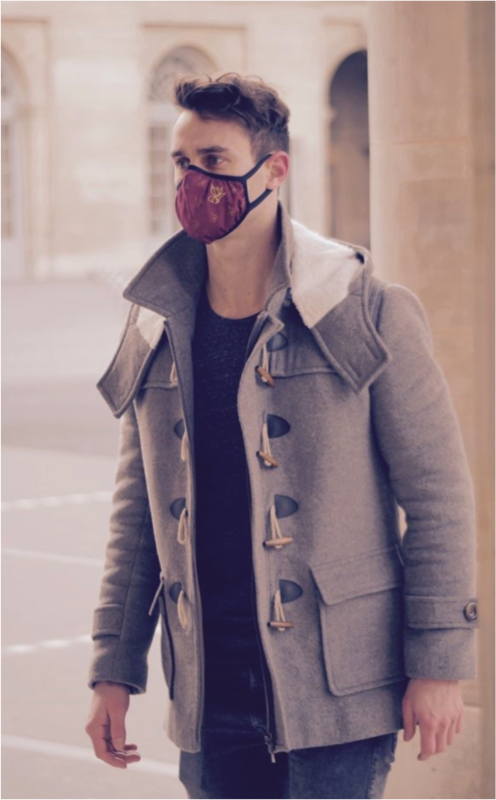 Worried Parisians donned surgical masks, which offer no real protection. Meanwhile, one of my brothers emailed me this week about the new U.S. administration, which intends to name a chief in charge of the Environmental Protection Agency who is not really interested in protecting it. My brother worried that Pittsburgh will again merit the nickname the Smoky City. For photos of Pittsburgh when smoke turned day into night, see my post here. 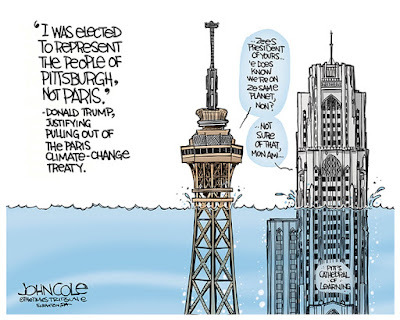 But just how clean is Pittsburgh now, compared to Paris? I was shocked to find out that Pittsburgh is still one of America’s most polluted—ranking in the top six. The American Lung Association graded Allegheny county with an F for its overall air quality. The reason? Car traffic and industry, especially along the rivers, exactly where Pittsburghers like to play outdoors. 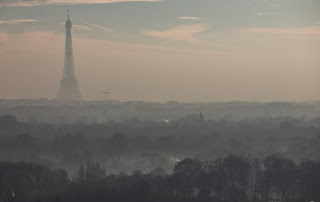 In Paris, people are blaming the French love of diesel fuel, which powers most cars and trucks as well. This love affair is due in part to the government’s lower taxes on diesel, a break meant for the trucking industry. But it’s also due to a weather inversion that has put a lid over the city. This week, PM10 particulates exceeded 80 micrograms per cubic meter. The EU has set a maximum daily average of 50. PM10 are particulates with a diameter of less than 10 microns, which include the most dangerous ones of less than 2.5 microns, which can penetrate deep into the lungs and the blood system and can cause cancer, according to this report. In Pittsburgh and Paris, what you can’t see can hurt you. What's a person to do? I just downloaded an app called Plume (developed by Frenchies) that lets me know when it's safe to bike or exercise outdoors, whether the 'Burg or Paris. And I have my eye on on a designer mask that really does work! Sincerely, I hope the way forward is a future of clean fuel that powers our cities and jobs, and allows us to breathe easily. Rose MarieBurke, an editor and journalist, writes a blog about her personal insights into life in Paris. After 20 years in the City of Light, she still calls her native Pittsburgh "home." Want to follow this blog? Enter your email address into the “Follow me” box. Or find me on LinkedIn, Facebook, or Google+.